Explore the Universe with Name A Star Live's astronomy program for all ages. 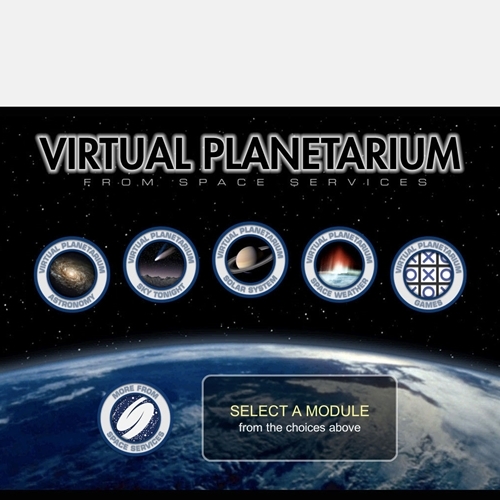 Virtual Planetarium is seven great programs in one! With interactive sky maps, a library of stunning imagery, and updates on the latest space events, space weather, auroras, and more, you'll navigate the night sky with ease. Includes the latest imagery and information from the Mars rovers, Saturn and Titan missions, Spitzer and Hubble Space Telescopes, and other live satellites at the click of a button. We also include a pair of 3D glasses (DVD version only) to view astronomical images as if you were there.